MACON, Ill. – It’s time to roll out the cars that will bring fans to their feet this season at Macon Speedway. Macon Speedway and Chevrolet Hall of Fame Museum partnered to bring race fans the Macon Speedway Car Show, an event that kicks off the racing season. The show is scheduled from 11 a.m. to 4 p.m. Saturday at the Chevrolet Hall of Fame Museum, located at 3635 U.S. 36 east in Decatur. Drivers will begin arriving with race cars after 9:15 a.m. Admission is free. Prizes and contests are planned throughout the day to keep the crowd revved up. 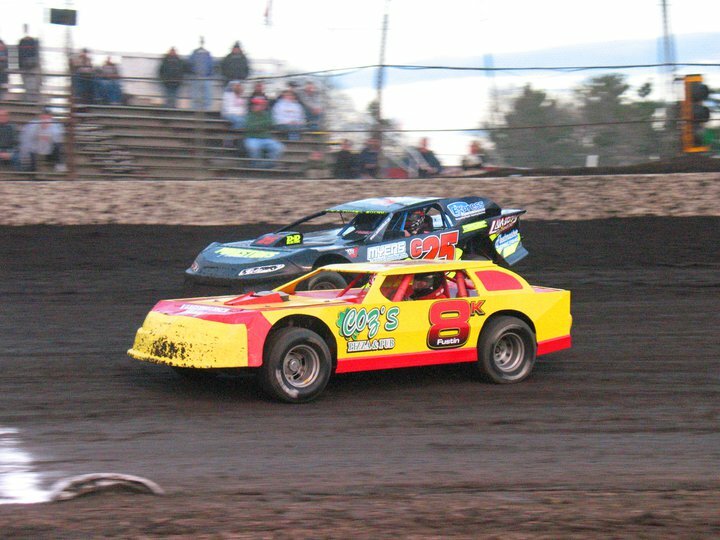 Fans and fellow drivers are invited to see some of the cars that will race when Macon Speedway opens April 5 for its 69th season. Race teams spent the past few weeks completing final preparations for the season, and they are excited to show off their race cars. Fans can also see the Macon Speedway two-seater late model used for special rides at the race track. Opened in 2009, the Chevrolet Hall of Fame Museum boasts a large collection of some of Detroit’s finest American-made engineering from Chevrolet. An extensive collection of Chevrolet’s hottest cars and memorabilia from the 1920’s through today fill the exhibits. Race cars, Indianapolis pace cars and show cars are among the items on display. Museum services include available climate controlled indoor storage and secured outside storage. Chevrolet Hall of Fame Museum also provides banquet services for all types of celebrations or club events. The speedway is scheduled for Test N Tune practice Sunday from noon to 4 p.m. Gates open at 11 .m. Grandstand general admission for Test N Tune is free, and the concession stand will be open. Macon Speedway updates can be found online at the track website (maconracing.com,) Facebook (Facebook.com/maconracing) and Twitter (@maconspeedway). Macon Speedway is located nine miles south of Decatur on U.S. 51, then 0.6 miles west on Andrews Street and south to 205 N. Wiles. For more information, call 217-764-3000 or check online.